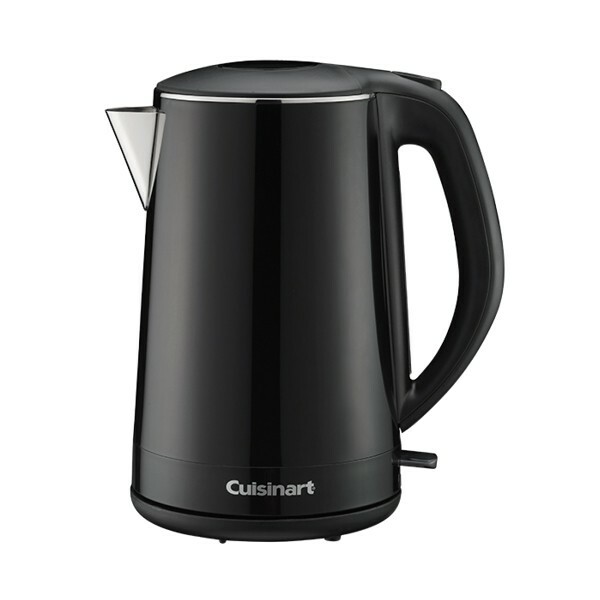 Cuisinart 46328 Kettle Here is a real treat for the kitchen minimalist, the sleek black Cuisinart Cordless Electric Kettle has a sophisticated visual appeal and with 2000W of power, will heat water rapidly. You'll enjoy the modern lines while the clever use of stainless steel spout and rim accents make this 1.5 litre capacity kettle a must-have when you're updating your kitchen decor. The freedom of a cordless kettle means it is portable and the base offers a 360degreee swivel. The Cuisinart 46328 Kettle was added to the Kettles category in December 2017. The lowest price GetPrice has found for the Cuisinart 46328 Kettle in Australia is $69.00 from NAPF Electronics. Other merchants who stock it are NAPF Electronics, House.